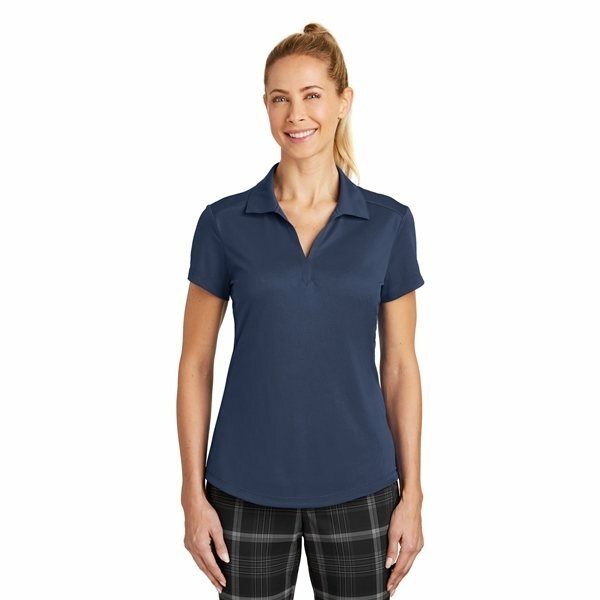 A modern tribute to the unparalleled Nike heritage, this sophisticated polo has a subtle, grid-like texture and is engineered with Dri-FIT moisture management technology. Tailored for a feminine fit. Design details include a self-fabric collar with an open Y-neck placket and open hem sleeves. The contrast heat transfer Swoosh design trademark is on the left sleeve. Made of 4.2-ounce, 100% polyester Dri-FIT fabric.